Eat Thrive Heal: Into gut health....and proud of it! I'm into gut health. And I'm proud of it. Having the right balance of microorganisms in our gut is critical to our health. 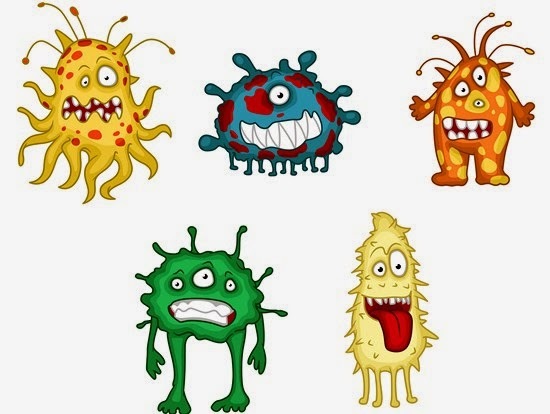 These microorganisms control our immune system, our metabolism, and our digestive system. They determine whether we are thin or fat, emotionally healthy or mentally unstable. Science is just now sorting them all out. Bacteria, yeasts, protozoa and other microbes are turning out to be the next new health frontier. The act of mapping the thousands of microorganisms that populate our gut and what each of their functions are is in progress right now. It will be years before we understand it all, but we do know, right now, that having good gut health means having good overall health. One of the biggest problems those of us with poor gut health face is leaky gut syndrome. When bad bacteria and yeast take over the gut, they set up large colonies and these colonies destroy the barrier lining of the gut, which is designed to keep unwanted particles from slipping into the bloodstream. The gut lining becomes permeable and large molecules of undigested foods enter the blood. These travel around the body wreaking havoc. Our immune system tries to control these "alien" particles by attacking them and creating inflammation. Inflammation is designed to protect us, but long term inflammation leads to disease (see below for a list of diseases caused by inflammation). What determines our gut health? We're all born with certain microorganisms that are passed onto us from our mothers during the birth process. Unfortunately, if our mother had poor gut health, we may, too. After birth, the food we consume affects the balance in our gut. Certain microorganisms thrive on certain foods. And, wouldn't you know it, unhelpful microorganisms thrive on sugar and junk food. The microorganisms that create a thriving body, love healthy foods, like vegetables full of healthy fiber. Feeding our gut microbes the right foods is critical to our own health. What else can we do to improve our gut health? We can eat fermented foods that contain a wide variety of beneficial microbes. I make my own homemade kefirs from raw cow's milk and coconut milk. A small glass of homemade kefir contains from about 30-50 different probiotic microorganisms. Compare that to a carton of store-bought yogurt with 3 or 4. Even the best probiotic supplement formulas only have 10 or so different strains. What's in the future? Someday soon, we'll be able to populate our gut with the microbes our body needs for our health. If we're overweight, we'll be able to add the gut microbes that keep us lean. If we have mental illness, we'll be able to add the microbes that help us stabilize our brains. It's all very exciting. For now, the imprecise science of healing the gut is what we're working with. So I just keep proudly drinking my kefir. Soon there will be more that we can do. In the meantime, cheers!